Is that a tree growing out of the roof of that house? This is a common reaction when first viewing this home at 3111 Monticello Boulevard. Built in 1954, the house stands out from most other homes in the Forest Hill neighborhood. 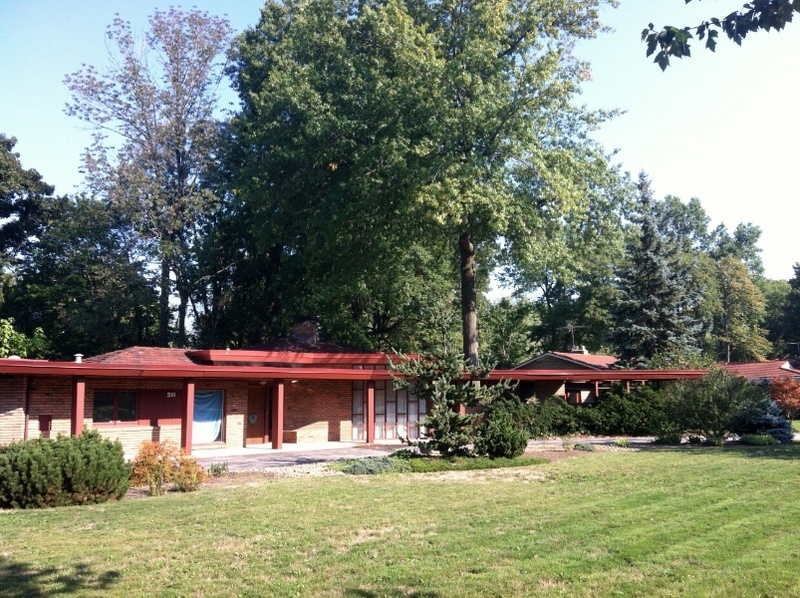 Local architect Albert J. Sgro admired the work of Frank Lloyd Wright and his ground-breaking Prairie Style. 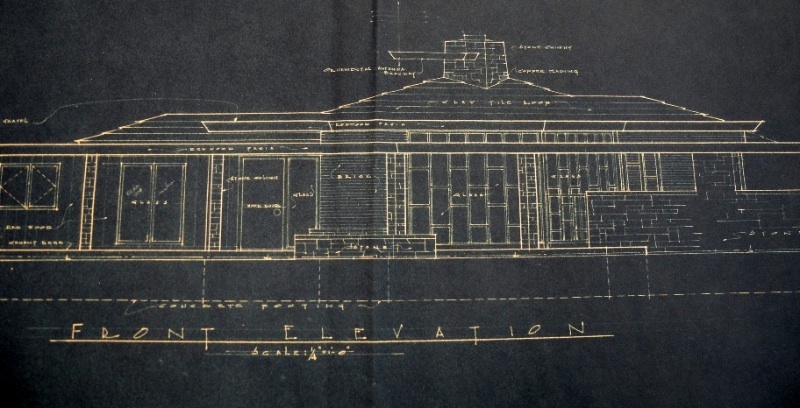 Many of Wright's stylistic trademarks are evident here--horizontal lines, low pitched roof, overhanging eaves, a central chimney, and an open floor plan. The pin oak tree is on a small patio that opens out from the living room and one of the bedrooms. Wright was deeply influenced by nature, telling students to "study nature, love nature, stay close to nature. It will never fail you." He developed a new philosophy of architecture, which he termed organic, promoting harmony between human habitation and the natural world through design approaches, including natural building materials, furniture, and close attention to how the building related to the site. The choices made by Albert Sgro to use natural stone both inside and out and large windows, which help to bring the outside in, reflect these beliefs. This home, one of three by Sgro in the neighborhood (the others are at 3142 Monticello and 3167 Burlington) was built for Morris L. Finneburgh, who lived in the home until 1994. Mr. Finneburgh appears to have been a forward-thinking person. He was the vice-president of the Finney Company, which manufactured television antennas, a relatively new industry in the early 1950s, and he commissioned this unusual house in a style that was not common in the Heights. According to an article in the Cleveland Plain Dealer in 1967, he and his wife Frieda had developed an interest in the philosophy, culture, art and architecture of the Far East, and this home reflected their interests and gave them a place to display the treasures that had acquired in their travels. If the Finneburgh house is a rare expression of Midcentury Modern architecture in a suburb filled with traditional homes, it also fits the Forest Hill neighborhood. 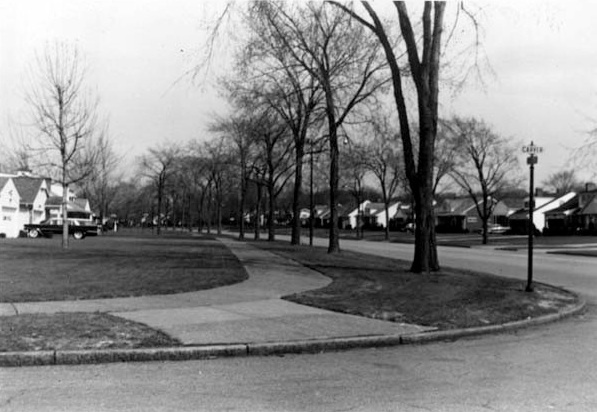 Envisioned by John D. Rockefeller in the 1920s as a premier residential allotment, the Forest Hill development fell dormant in the Great Depression. 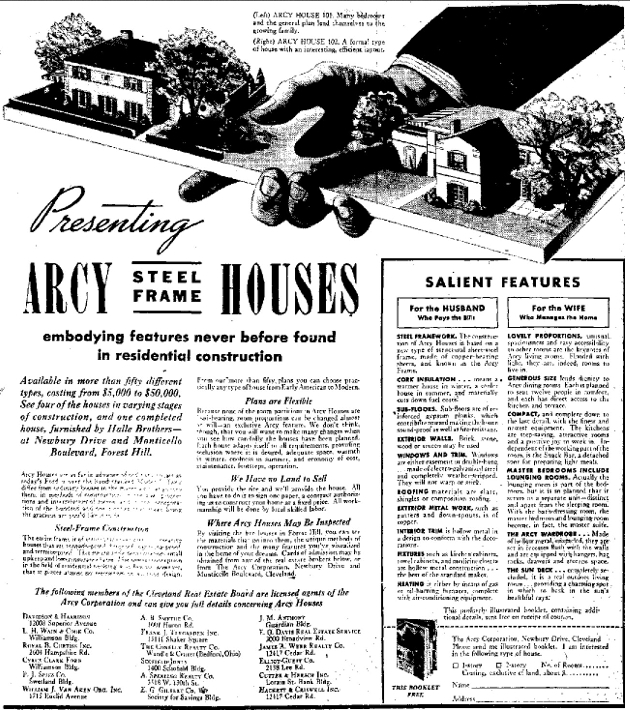 A striking exception during these quiet years was the construction of five steel-frame houses on Monticello by the Arcy Corporation in 1936. 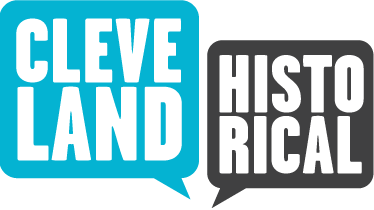 After World War II the Rockefeller family divested itself of remaining Forest Hill property, but it remained a carefully planned development. Most of its curvilinear streets would be lined with modern ranch-style houses, many with slate or tile roofs. In the midst of this building boom, in 1959, Medusa Portland Cement Company erected a futuristic headquarters building on the southwest corner of Lee and Monticello boulevards. 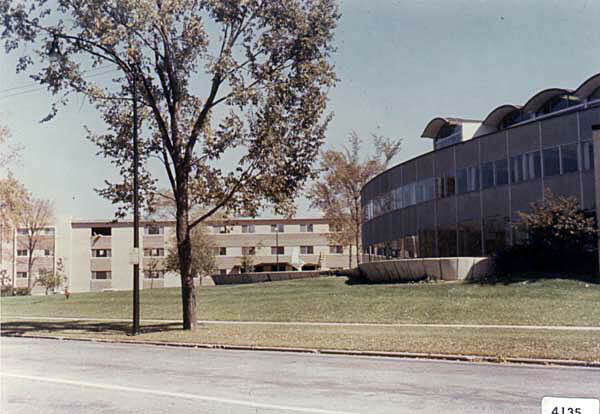 Much more than the Tudor-style Heights Rockefeller Building just a block away, which was planned as the gateway to Forest Hill, the curving concrete-and-glass Medusa building reflects how Forest Hill actually developed. Lissa Waite and J. Mark Souther, “Monticello Modern,” Cleveland Historical, accessed April 19, 2019, https://clevelandhistorical.org/items/show/543. Published on Aug 24, 2012. Last updated on Apr 18, 2017.